Why investors should be wary of rising long term interest rates? Are the Bond market ghosts of 1994 coming back to haunt, or is this as high as long term interest rates rise? That’s unknowable at this stage, but investors should ensure their portfolio’s can weather rising interest rates. Investment strategies that worked well while interest rates fell, are unlikely to be rewarded when rates rise. Long term interest rates, particularly the 10 Year US bond rate (also known as the risk free rate of return) is important to investors as an anchor point against which asset prices such as property and shares, are measured. Generally speaking a higher long term interest rate results in lower asset prices, in the absence of earnings growth. Future inflation expectations are filtering into long term interest rates following stronger than expected US wage growth in the first few months of 2018. 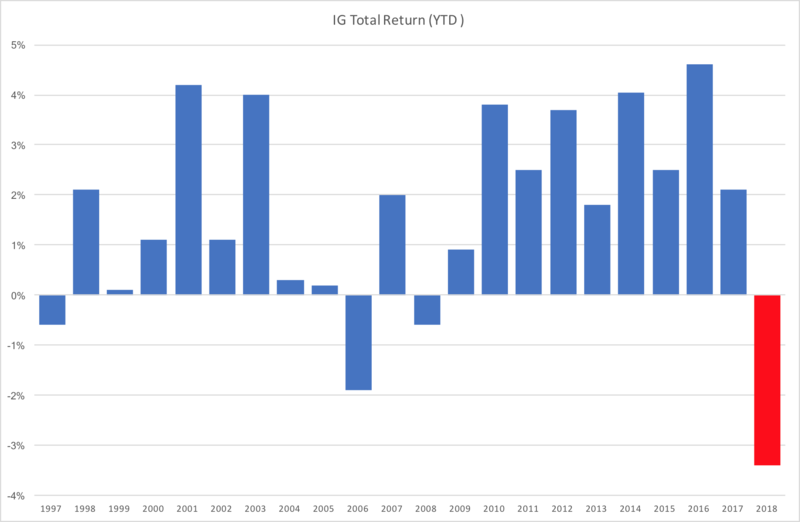 This has resulted in the total returns for Investment Grade (IG) bonds having their worst start to a year in 20 years. US 10 Year Rates have doubled since July 2016 from under 1.5% to currently around 3%. This has seen long term bond prices fall (price of bonds fall as rates rise). Assets considered bond proxies including infrastructure and property have also come under pressure during this time. Long term bonds, which feature in many investors portfolio’s under the labels of “Fixed Interest”, “Bond” or “Conservative” funds/ETF’s are vulnerable to rising interest rates, particularly those with longer duration. While rising interest rates increase the income from bonds, rising rates can be devasting to the capital value of a bond portfolio owned in managed funds, ETF’s and super funds. 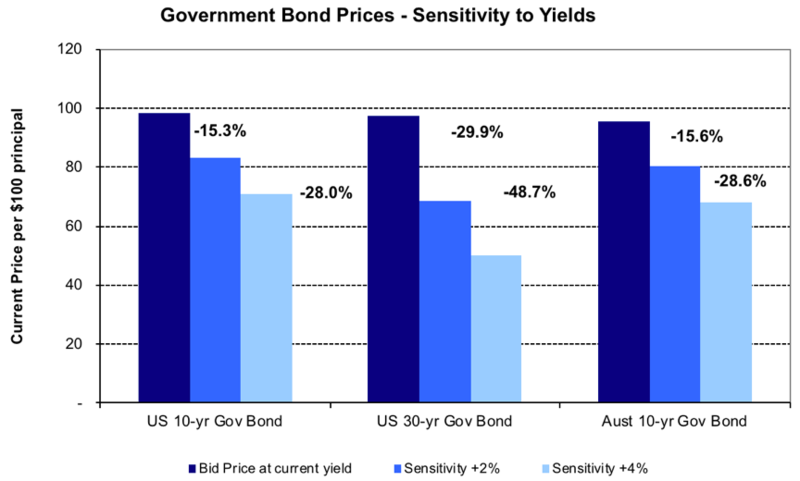 The chart below shows the capital destruction of US Bonds and Australian 10 Year bonds in the event of rates rising by 2% and 4% respectively from current levels. Not exactly a defensive investment in a rising interest rate environment! 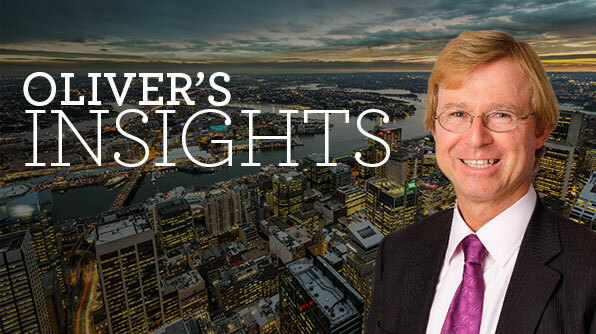 Bond proxies such as infrastructure and property are generally considered to be negatively impacted by rising long term rates, but caution is required before dismissing these assets during periods of rising rates. Assets such as toll roads can offer some protection from rising inflation and increasing interest rates as toll revenue is usually linked to inflation. Therefore rising inflation (which generally feeds higher interest rates) can result in material earnings growth for toll roads. Citylink tolls as an example are linked to inflation. Infrastructure businesses can see an increase in the cost of debt funding as rates rise, and these businesses generally carry high levels of debt. While higher interest rates obviously increase the cost of debt servicing, good infrastructure businesses have used the extended period of low interest rates to secure long term debt at low rates which means that the impact of rising interest rates may not be seen for many years. During 2017, Zurich Airport, raised debt for a 12 year term at 0.6214% interest. Property investors where rents are linked to CPI can offer some protection against rising inflation and rising rates, but there are some property sectors where rents are under pressure, such as retail property. While clearly there are potential losers from rising interest rates, there are also potential winners. Companies that hold large fixed interest portfolios of short duration, such as insurance companies stand to earn materially higher levels of investment income. Computershare is another listed company in Australia whose earnings stand to benefit from rising rates from client funds it holds. For other parts of the share market, rising company profits are the best defence against the negative valuation effects of rising rates. Earnings growth for the ASX200 is forecast to remain at high single digits for financial years 2018 and 2019 (source Ausbil Roadshow) and Asian company earnings are forecast to grow at double digits this year. This should cushion share prices against the valuation impact of rising rates. With the unwinding of Quantitative Easing (money printing) in the US, and with the Euro region likely to follow suit soon, it seems that the interest rate environment has changed. Investors should check their investment strategy is positioned for a rising interest rate environment. When I was first asked to comment about the ALP’s proposed scrapping of franking credit refunds my response was I was “flabbergasted”. “Flabbergasted” that the party whose Treasurer Paul Keating created franking credits would cut those benefits accruing to retired workers, “flabbergasted” that the Leader of ALP Opposition who earns over $375,000 a year would begrudge retirees receiving around $5000 a year on average, “flabbergasted” that the ALP would be offering tax relief to low- and middle-income Australians whilst pulling benefits from the lowest earning individuals who don’t even earn enough to pay tax, and finally “flabbergasted” that it is claimed that “this change only affects a very small number of shareholders”. Having had time to reflect on this change, read through the fine print and discuss it with a number of people within the industry – and I thank those clients for their thoughts – my views have changed somewhat, but not necessarily in a positive sense. Bill Shorten speech to Chifley Research Centre as quoted by SMH “Labor to target rich retirees in budget fix” 13 March 2018. We think this is a very discriminatory policy. Whilst we are happy that charities and not-for-profits are exempted from the changes, we are not so happy that the likely worst affected are the very lowest income earners with small holdings of Australian shares. It is also discriminatory between different types of superannuation funds. Members of mature superannuation funds are discriminated against versus members of less mature funds. The most mature of funds are Self-Managed Superannuation Funds (SMSFs) whose members are all retired, and they would receive no franking credit refunds. The least mature or growing funds are funds largely dominated by younger accumulation phase members with a relatively small proportion number of pension members. These growing funds will be paying significant net tax to the government since the vast bulk of their fund members are in accumulation phase, paying 15% tax on fund earnings together with contributions tax. It is our understanding that pension phase investors in these least mature funds would still be receiving the full value of franking credit refunds under this proposal. The growing fund won’t be getting a refund of tax from the government, but within the fund pension members effectively get a full refund via offsetting (reducing) some of the net tax payable at the overall fund level. A $1m pension phase member of a growing fund would receive full value for franking credits, but the same $1m pension phase investor would not if they were to establish an SMSF. This proposal is clearly discriminatory, and if implemented would favour growing funds such as many industry funds, over SMSFs. But we don’t believe this discrimination is restricted to SMSFs. Any superannuation fund dominated by pension phase investors will likely stand to lose the value of some or all of franking credits. Mature and often closed defined benefit funds would fit into this category. Some of these funds may be fine in financial years with good investment earnings, but may lose some franking credits in years with low or negative investment earnings where tax payable on accumulation phase earnings and contributions are less than the value of franking credits. We know of a few funds that are government or industry based which may likely be immediately impacted should these changes be implemented. We believe this change may ultimately impact a much greater number of Australians at some stage in their life than the current 1.17 million individuals targeted by this change. Whilst the proposed changes will primarily currently impact mature pension phase SMSFs and low income investors, we believe as the superannuation industry matures as a whole, as more and more members of pooled superannuation funds migrate to pension status, the loss of franking will likely start to impact a growing number of government, retail and industry funds. And these changes would then impact the returns and fund balances of pension phase members of those funds be they rich or poor. We estimate that denying the refund of franking credits will reduce the returns for pension phase SMSF by approximately 0.5% pa, meaning a retired couple with a $1m superannuation balance would be $5000 worse off each year, or a retired couple or individual with a $500,000 superannuation balance would lose $2,500. Now this might not sound a lot, but $50-$100 per week makes quite a difference for a retiree. It might mean being able to eat out once a week, take an annual domestic holiday, afford the expensive running costs of air conditioning or cover the cost of a cataract operation. Our estimate of the impact of scrapping imputation credits is based on our submission to the Tax Discussion Paper entitled “Foreigners set to gain at the expense of Australian retirees?” (April 2015). We based our estimate of the impact of imputation assuming an average SMSF exposure to Australian shares, and the franking credit yield of the S&P/ASX200 Index. Investors with higher allocations to Australian shares, or allocations to higher yielding Australian shares could earn even higher levels of franking credits and would thus stand to lose more. Treasury’s analysis of ATO data indicates that 610,000 Australians in the lowest tax bracket (earning less than $18,200) would be impacted by this proposal, with a further 360,000 individuals impacted in the $18,201 to $37,000 tax bracket. Given this, I should not have been surprised that someone like my mother, who recently passed away, would have been significantly negatively impacted by this change. My parents worked hard all their working life, judiciously investing savings into the share market, managing to save enough to largely self-fund their retirement. They retired prior to the implementation of compulsory superannuation, so their share investments were held outside superannuation. My mother lived off the earnings from those shares, but she rarely earned enough to actually pay income tax, but I can assure you that she dearly valued the franking credit refunds which boosted her modest retirement income. When she was well they enabled her to take the odd holiday, and when she wasn’t so well, they helped pay the medical expenses. Closing the gate after half the horse has bolted? In introducing the proposals, Bill Shorten used an example of an extreme franking credit refund of $2.5m to a single SMSF in the 2014-15 financial year. This example is now well out of date and passed it’s used by date. The current government has introduced a $1.6m per person cap on pension phase superannuation which we estimate halves the problem. Perhaps a better way to eliminate the few extremely large franking credit refunds would be to either limit the total amount people can invest into super (not just the amount in pension phase) or limit the maximum franking credit refund per person. Let’s not make just about everyone’s retirement tougher because a few individuals have managed to take full advantage of the system. There are other impacts likely to arise from this change should it ever come to pass. Whilst members of defined benefit superannuation funds may not be directly impacted, the organizations’ that underwrite those benefits may need to increase their funding if the expected pension phase investment return assumptions are reduced. Banks and insurance companies may need to reconsider their capital positions in light of the potential impact of these changes on income securities. Pension fund trustees may need to alter asset allocations. Some might argue that reducing exposure to the very concentrated Australian share market might be a good thing, but it will very much depend on where the money goes to. As well as Australian shares, SMSFs have a strong preference for Australian property, and we are not so sure allocating more money to a fairly expensive domestic property market is necessarily a good thing. Increasing exposure to global shares makes more sense, particularly since SMSF seem under-allocated to global shares compared with industry and retail fund allocations. We also believe that any changes will likely impact the financial advice that investors receive, particularly investors in mature SMSFs. Tax changes provide financial advisors and tax professionals the opportunity to add value for their clients. Pension phase SMSFs might likely restructure in a number of ways. They could move their pension assets into growing industry or retail funds to continue to receive the effective value of franking. Or they could look to “grow” their own SMSF, by adding say their children who are in accumulation phase as members, but there are constraints to this within the current SMSF rules. Sadly, the 610,000 lowest income earners who would be affected by this change are probably least able to seek advice and least able to restructure their assets. We also discourage people from acting too soon on this proposal. It is the policy of the opposition. Not only do they have to win the next election, they would need to win over sufficient cross bench senators to make this change to the law. And even were it likely to happen, companies may act to flush out franking credits prior to any change coming into effect – buybacks and special dividends may come with a flurry in that case. Overall, we don’t see this as good policy. It’s discriminatory. Whilst positioned as a “taking from the rich to give to the poor” policy, it’s actually 610,000 of the lowest earning individuals who will likely feel the most relative pain. It also discriminates between different types of superannuation funds, impacting the returns and fund balances of pension phase members of SMSFs, but not the returns and fund balances of pension phase members of growing funds such as many industry super funds. We also think that as the superannuation industry matures, and many more members of funds retire, these changes will likely impact members of many of the more mature government, industry, and retail super funds, not just SMSF members. If passed, this policy may become a ticking time bomb for many, many Australians. Franking credits provide a very valuable increment to the income of all defined contribution retirees be they rich or less well off, as well as to very low income investors outside the super system, and surely we all hope to retire comfortably one day. Mark Draper recently met with Andrew Clifford (Platinum Asset Management) to talk about the change in CEO at Platinum Asset Management and what it means for investors in Platinum funds. Below is a podcast of the discussion and also a transcript. Mark: Here with Andrew Clifford, Chief Investment Officer, or currently Chief Investment Officer of Platinum Asset Management, soon to be Chief Executive Officer of Platinum Asset Management. Andrew, thanks for joining us. Andrew: Good morning. It’s good to be here. Mark: Shooting this in Adelaide, too, by the way. So, welcome to Adelaide, Andrew. It was announced to the market recently that the joint founder of the business, alongside of you, Kerr Neilson, who is the current CEO of Platinum Asset Management is going to step down as CEO, still stay within the business. I just want to talk about that this morning for our Platinum international investors. Are you able to give us an overview? What does this actually mean for the business? Andrew: I think what people should understand is that we’ve built over the last 24 years, a very deep and experienced investment team. I think also it would be good for people to understand just exactly how the process works internally to understand the role, how Kerr’s changing role affects us. Across that team, one of the things that we think if very important in coming up with investment ideas is that there’s a very thorough and constructive debate about investment ideas. If you put someone in the corner of a room and leave them to their own devices for four weeks to look at a company, on average through time, they’re not going to come up with good ideas, they’re going to miss things. Part of our process is that the ideas, even from the very beginning, should we even be looking at this company or this industry, is something that is thoroughly debated all the way along. We have five sector teams and also our Asia team. These are teams of sort of three to five people and they’re working away, coming up with ideas, debating them internally before they’d even presented to the portfolio managers for a potential purchase. Then what happens is we have a meeting around that and you get all the portfolio managers for whom that is relevant and the idea is further debated and one of the things to understand about the process is we’re not trying to all come to some lovely agreement about whether this company is a good idea. We’re trying to work out what’s wrong with it. Then ultimately, what happens after all of that, invariably there’s more questions to follow up and work to be done, but what happens is then each of the portfolio managers make their own independent decision on whether to buy that company or not. The important role of the portfolio manager, as I see it, is everyone always thinks of them as these gurus who are making a decision about buying this stock or investing in this idea, and certainly they have that final responsibility. But I actually think their most important role is leading that discussion and debate. Indeed, what happens in the places, that you can see that if an idea comes through to buy a certain company, if I buy it and Clay Smolinski doesn’t or Joe Lai doesn’t, when it’s an Asian stock, or Kerr does, but he buys 3% in the fund and I buy half a percent, there’s some kind of difference of opinion there that needs to be further debated and discussed. We have particular meetings where we do that. Mark: It’s a bigger process. Andrew: —deep and proper process there. Mark: It’s not one person pulling the strings. Andrew: That’s right, absolutely. When it comes to Kerr and his role, Kerr will continue to be part of the investment team, he will continue to work away on investment ideas, which is his love. When you do this job, you’re never going to stop doing that. He’ll still be there working away on this idea or that, as pleases him. Also, he will be looking at the ideas other people are putting forward because that’s what excites him. He will still be part of our global portfolio manager’s meeting, which is the meeting of the most senior PMs, where we actually debate those ideas, where those differences of opinion are occurring amongst the PMs. He’s still there going to be doing that and as Kerr would say, the demands of being a—of running a global portfolio, are not inconsequential in terms of the time and effort. What he is hoping to be doing is then being able to take that time where he doesn’t have to think about absolutely everything we’re doing to focus on what he believes are the really good ideas. It is a change, but it may not be as significant as it sounds to people. Andrew: Yeah, I mean, absolutely. Because I think it’s one of these things is that you, as I said, you can’t really retire from investing. You’re going to be doing it one way or the other. This is a great way for him to continue to do what he loves doing and it’s great for the rest of the organization to still have that input from him. It’s something that the younger members of the team will value because he will, as he does today, he’ll walk across the floor to talk to someone about what they’re working on and be quizzing them on that idea. Because along with that idea, all those sort of more formal processes of how an idea comes to life, there’s also the discussions in the kitchen when you’re making a cup of tea and what have you. He’s going to remain there as a full-time employee and part of the investment team. Andrew: Yes, so it’s hard for me to talk for him, so I can really only repeat what he has said, which is that I think at the moment there’s no intention to sell any of the stock at this stage. Mark: Going back to the funds for a second, what are the changes to the management of the funds and with a particular focus on the Platinum International Fund, which is the flagship fund, and also Platinum Asia. Probably the easiest one to start with is Platinum Asia. Andrew: Really, for Platinum Asia, there’s no changes in the management of that. Joe Lai has been running that in its entirety for a number of years now. What you would expect with what we’ve done with Asia previously, with myself and Joe, when I used to run that, he started at 15% of the fund and progressively moved up to half and then the whole fund. That’s something—this is all part of both the development of individual members of the team and also building in that succession planning across the firm. While there’s no intention to change that today, at some point in the future, you would expect that we will bring in another portfolio manager to run a small part of that fund and then build that up through time. Mark: I think that’s really interesting because Joe started out having a smaller amount of that fund, got built up, and then is now running all of it. The Platinum International Fund is not too dissimilar to that, in that Clay Smolinski, who has been with Platinum for quite some considerable time and is a very high quality investor, he’s currently managing 10% of the Platinum International Fund. Mark: What’s going to change in that respect? Andrew: Clay’s also been running the un-hedged fund for a number of years now. Mark: Which has performed really, really well. Andrew: It’s performed very well, as the European Fund did, or continued to, even after Clay left, but is also—he did a very good job running that. What’s going to happen is Clay will take 30% of that fund and what you again might expect at some point in the future, that is a third portfolio manager will be brought in there. One of the reasons for not doing that—a lot of people ask us why we’re not doing that today and it’s simply that these types of changes now, five years ago, didn’t attract a lot of attention, these days, the research houses are very focused on these changes. We’ve already given them quite a bit to think about in the last month. So, rather than make yet another change at that point, we want to leave that for a point in the future. Mark: And then you manage 70%? Mark: You’re currently managing around half? Mark: 40, so you got a lot and so does Clay. Mark: Platinum Capital being the listed investment company? Andrew: Listed investment company, yes. Mark: We have some invested in it. Andrew: But then also there are funds, the Platinum Global, which is the in fund, that its mandate is much more similar to the un-hedge fund, so Clay will take over that. Andrew: They’ll be changes in other funds as well. Mark: Yeah. You touched on research houses. One of the things—and this is probably more relevant for Platinum Asset Management investors, rather than investors of the funds, but it strikes me that one of the key things is what the research houses say about you in their capacity as acting as a gatekeeper between you and financial advisors, like us. What’s been the reaction of the research houses, Morningstar, Lonsec, etc.? What’s their reaction been to this, Andrew? Andrew: As you can imagine, we were on the phone to them, in for a meeting within 24 hours. Mark: You’re very much on the front foot, I must say, with that. Andrew: Yes. Both Morningstar and Zenith have reaffirmed the writings across our fund, so there’s been no change there. I don’t really want to speak for them either. They’re very independent in their views and their positions can be read. But essentially, I think, this was not unexpected in their minds and they’ve reaffirmed those writings, but as always, they’re watching carefully to see how we go. Andrew: As it stands today, while we’ve had feedback from Lonsec, we don’t know what their final decision is at this stage. Mark: I do know Morningstar were out in the press last week, I think, saying they think that the management of Platinum Funds just continues as is. They were actually quite supportive in the press. Andrew: Yes. And I think that came on the back of the one that had that we won the Morningstar, not just the fund manager, the International Fund of the Year, but we also got the Fund Manager of the Year Award, which means that’s won against the entire, you know, all comers who are doing product across the range. And they assured me that was decided before any of the decisions anyway, but it was actually very nice timing to win that at that point for the organization and the investment team because it really recognizes what has been a period of very strong performance. Andrew: After a period where actually we didn’t think our performance was that poor, but in a relative sense, we had lagged the market for a while, by a very small margin, but I think that it was very nice to win that aware at that point. Andrew: We stuck to doing things the way we’re doing and the end result has been good. As I say, I’m not one to normally get too excited about awards, but it was a lovely time to get it and at this point in time as well. Mark: Congratulations, by the way for that. The track record, so Clay and yourself are running the flagship fund. There’s no changes to Platinum Asia. The track record of Clay and you has been really good over a long, long period of time. Are you able to provide any context around that? I know that’s actually a hard question. Andrew: This is the thing, I go back to where we started and talk about the process that is there, and I don’t want to take away from Clay’s excellent record, but here’s the thing, over our 24 years of history, we’ve had 14 different portfolio managers running money. Every one of them, their long-term record was one of out performance. That’s quite extraordinary. I don’t think you find that many easily, in any market. Now, of those 14, 10 are still with us. 2 of them were other founders who have stepped aside. But I look at this say, this is the system. If I have a flippant response to people when they worry so much about the role of the portfolio manager because if I’m sitting here, I have 30 people in the office bringing me great ideas. If they only bring me great ideas, because they’re well thought through and well argued out, then all I need to do is buy every one of them or flip a coin and buy every second one, whatever it is. Now, there’s more to it than that. But the job of running money becomes easy when you’re supported by a strong team. Mark: The main message really here is that. This is very much a team business and it’s a big team. You’re probably one of the deepest teams in the country, in international equities. Andrew: I think in the country, very easily and across probably all investment teams in terms of depth of experience and what have you, I mean, there will be other people globally who have similar histories. But, you know, I think the thing that we see when we talk to clients overseas, is that the things that differentiate us very strongly, not any one of these things, but a collection of all of them, is that we’ve been going for a while, 24 years. We’re managing a substantial sum of money with 27-odd billion Australian dollars. Very defined investment approach and extraordinarily deep team, and a long-term record of out performance. You’ll find that people who have got four of the five or three of the five, but there aren’t many. What I should say, I think one of the things that stands out with overseas clients is when we say we construct our portfolios independently of the MSCI Index, is that we genuinely do. There are many other people who say they do. Mark: You’re true to label though, aren’t you? You’re very much true to label. What you say you’re going to do, you do. Andrew: We do. I think that maybe sometimes in Australia that’s not valued quite as much as it could be because we’ve been around a long time and people know us. But I think it is—there’s no one else we know of that can show all those attributes. Mark: Our position, Andrew, is that we know the depth of your management team at Platinum Asset Management, and you individually have been managing that team for the last five years officially, I believe, in any case. Mark: Yeah, that’s right. [Laughs] From our perspective, nothing has really changed other than it’s a change of role for Kerr, but he’s still in the business. We’re still positive on Platinum Funds, clearly. Have you got any last thing that you would like to say for our Platinum investors or PTM shareholders? Andrew: I think the other thing that people ask about is, I’m taking on this additional role of CEO and what are the—how much of a workload, how does that—I guess the fair concern is how does that detract from the investing side of things? Mark: They cost the business and it’s a management distraction. Andrew: It costs the business money and a lot of distraction and we have an incredibly strong team there, now led very well by Andrew Stannard, our current CFO. When it comes to the role of CEO, the reality is that Liz and Andrew and their teams, they run the business. We want an investment person as CEO because ultimately the CEO makes the final, critical decision on important things and we want those decisions taken from a perspective of is this going to impact the investment process? You can have all these great ideas, we should have this product, we should do this, we should open an office in New York, we can have all the great ideas in the world, but ultimately, they need to be run through the filter of how does this impact the way the investment team functions. All of those things, those sort of decisions, can impact and hurt that and that’s why I’ve taken on that role. In reality, yeah, there will be times where there’s more to do, but in fact, the way it’s worked, is Kerr and I have already long divided those responsibilities. So, most of the accounting and compliance-type discussions where it’s come through to the management committee, which is Andrew Stannard, Liz, Kerr, and myself, they’ve tended to be my area and Kerr is focused more on the client side of the business. I’ve been part of those discussions for 24 years, so it’s not like I have to all of a sudden get on top of, or how does this work or how does that work? I’ve been there the whole time. There will be some time into that, but I don’t believe that it will be substantial. Mark: Good answer. Andrew, all the best for the new role as CEO and I know you’ve been there forever [laughs], so all the best for the transition. Thanks very much for making the time to talk to us about it. The ALP has proposed that if it wins Government at the next election it will scrap cash refunds that are currently paid to investors with surplus imputation credits they receive from shares that they own which pay franked dividends. Bill Shorten claims that only the wealthy will pay the tax, clearly continuing his class warfare with ‘the big end of town’. He also said “a small number of people will no longer receive a cash refund but they will not be paying any additional tax”. With all due respect to a potential future Prime Minister, this is rubbish! 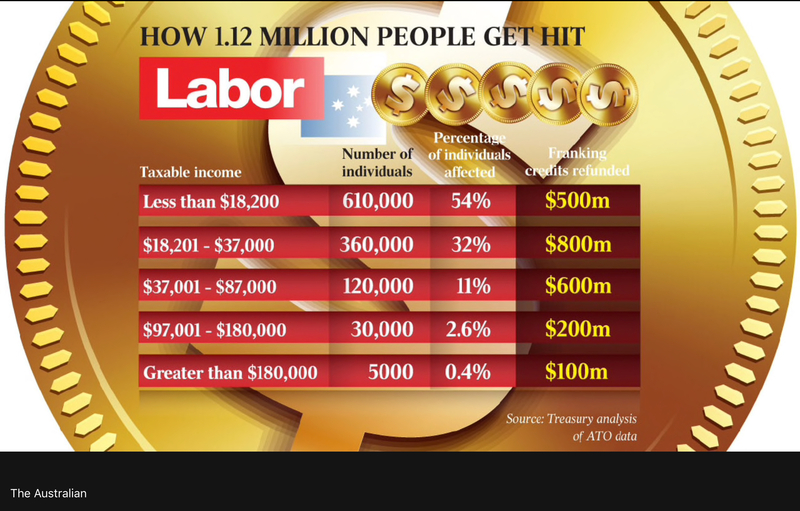 The Australian reports today that Treasury analysis of official tax data shows the largest group of people to be hit by Labor’s $59bn tax grab will be those receiving annual incomes of less than $18,200, the majority who receive the Age Pension. In fact the likely number of people hit by this proposal is estimated at well over 1 million, bringing into question the ALP’s definition of small. The current effective tax free threshold for a retiree couple over age 65 is around $29,000 each, courtesy of the Seniors Australian Tax Offset and of course the $18,200 tax free threshold that applies to everyone. Therefore any retiree who’s taxable income is less than that, is currently not paying tax and at risk of having their surplus imputation credits retained by the ATO. The whole point of dividend franking – introduced by a Labor treasurer Paul Keating of course was to stop the double taxation of dividends. Dividends have to be paid by companies out of profits which have already paid company tax. In the old pre-Keating world those dividends would then be taxed a second time as personal income. Under the Keating change you would get a ‘credit’ for the company tax paid on the dividend, you would then still be taxed at your full marginal tax rate on the underlying income out of which the dividend was paid. Critically, if your marginal tax rate was lower than the 30% company tax rate, you still paid “too much” tax. That is why Peter Costello legislated the cash return of that overpayment in 2000. If the ALP proposal becomes law, this would result in high income earners gaining the full benefit of dividend imputation but retirees and low income earners being discriminated against and unable to use the tax credits. In other words retirees would become one of the few groups in the country to pay double taxation on their dividends. The very people the ALP are alleging to protect are those most likely to lose from this proposal. GEM Capital is not opposed to tax reform, but we are opposed to leaders using the tax system as a political wedge for political gain that disadvantages the retiree sector. 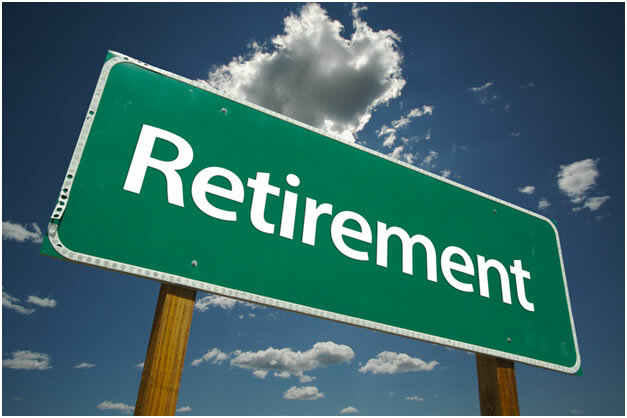 We are deeply concerned that a potential future Government can propose in an incredibly short time frame, in a retrospective manner, such a drastic reduction for retirees’ income. Retirees have limited capacity to increase their earnings through employment which makes them a very vulnerable segment of the community to sudden changes in Government policy. GEM Capital will be contributing to media articles in the coming weeks on this issue and will also be talking with politicians of both sides of politics with a view of broadening their perspective on the issue and at the same time represent the interests of retirees. Feel free to share this article with anyone you believe may be impacted by this proposal. Malcolm Turnbull is now connected to the National Broadband Network (NBN) at his Point Piper home on a 100 megabits per second (Mbps) plan, it was revealed in Senate Estimates yesterday. But only because his department intervened to avoid delays affecting other customers. And while the Prime Minister might be happy with his NBN connection, that’s not the case for the 2.5 million customers waiting on a connection through their pay TV or cable service who have been left in limbo. Lauded in the 2009 Commonwealth Budget as the single largest nation building infrastructure project in Australian history, the NBN is at risk of becoming an expensive white elephant in our cities. Years of political interference, poor technology decisions and a monopoly business attitude have damaged the brand. Rather than meeting its objective of connecting 90% of homes and workplaces with broadband speeds of up to 100 Mbps, the NBN is looking more like a giant sponge. It soaks up public infrastructure dollars and returns high prices, long delays, unacceptably slow data speeds and service standards that are now the subject of an ACCC investigation. As a result, a growing number of competitors are bypassing the NBN by undercutting prices and beating performance standards. The latest challenge to the NBN came after South Australian Premier Jay Weatherill denounced the “very poor NBN outcome” and last week announced A$35 million in funding for an Adelaide fibre network alternative if he is reelected in March 2018. This follows news announced last year that Adelaide City Council is working with TPG to deliver an NBN-alternative broadband service to local businesses. The service promises fibre internet up to 100 times faster than the NBN, at lower prices, and with no installation costs for city businesses or organisations. This technology will be a game changer for the city of Adelaide. It will be a boom for local businesses and other organisations, but will also attract business from interstate and across the globe. Meanwhile two aggressive startups in the Melbourne market are hoping to take a serious bite from NBN’s lunch. Lightening Broadband is connecting homes and businesses using microwave links capable of delivering both 100 Mbps download and upload speeds. That’s better than the comparable NBN Tier 100, which offers 90 Mbps download and 30 Mbps upload speeds. The company is constructing microwave transmitters on tall buildings, connected to the telco’s core network using microwave links. Customers within a two-kilometre radius share a microwave transmitter, requiring a dish on their roof. Another telco start-up, DGtek is offering its customers a full fibre alternative service. DGtek uses Gigabit Passive Optical Networks (GPON) and runs it directly into tightly packed homes with the dense population of inner Melbourne. As a sweetener, DGtek offers free internet service to government organisations – such as schools and hospitals – in areas they service. New entrant competition is not the only threat to NBN Co. Optus and Telstra are both launching 5G services in 2019. This represents a quantum leap in wireless technology that could win away millions of current and potential NBN customers. Everyone has heard of concepts like self-driving cars, smart homes, AI and virtual reality, however their full potential will require a fast and reliable network to deliver. Seeing 5G data speeds through our trial that are up to 15 times faster than current technologies allows us to show the potential of this transformative technology to support a new eco-system of connected devices in the home, the office, the paddock and in the wider community. 5G is not the only technological game changer facing the NBN. iiNet in Canberra has launched its Very-high-bit-rate Digital Subscriber Line (VDSL2) as its own superfast network. According to iiNet, it is made up of fibre and copper and provides a faster connection than ADSL and most NBN plans. The network is independent from Telstra and differs to NBN in that iiNet’s VDSL2 network uses its own copper lines. The huge capital requirements of rolling out telecoms infrastructure has always acted to deter more competition in the Australian market. But following a regulatory decision of the ACCC in 2017, smaller entrants can now enjoy cost-based access to some of the largest networks – including Telstra, TPG and Opticom – allowing them to better compete both with the big telcos, and with the NBN. By providing access to superfast broadband access service (SBAS) and the local bitstream access service (LBAS), new entrants will be able to sell NBN-like fixed line superfast broadband wholesale. So where to for the NBN? Yesterday the government released a working paper forecasting that demand for bandwidth will double for households with high internet usage over the next decade. The report also suggests that the NBN is equipped to meet those needs. However, cost, technology and customer service problems continue to threaten the commercial success of the NBN. Without a radical rethink, it is doomed to fail its initial mission. We are planning to add Montgomery Investment Management to our recommended list of investments early in 2018. In particular we are impressed by their Global Investment team who have had an impressive track record since the fund began a few years ago. The Montgomery Global Fund is listing on the ASX on 20th December 2017 and is a portfolio of high quality global companies aiming to pay a half yearly income distribution of 4.5%pa. We will have further details on this fund in the new year. In the meantime, here is a sample of how Montgomery Investment Management think about investing in a comprehensive report that makes excellent reading over the Festive Season. 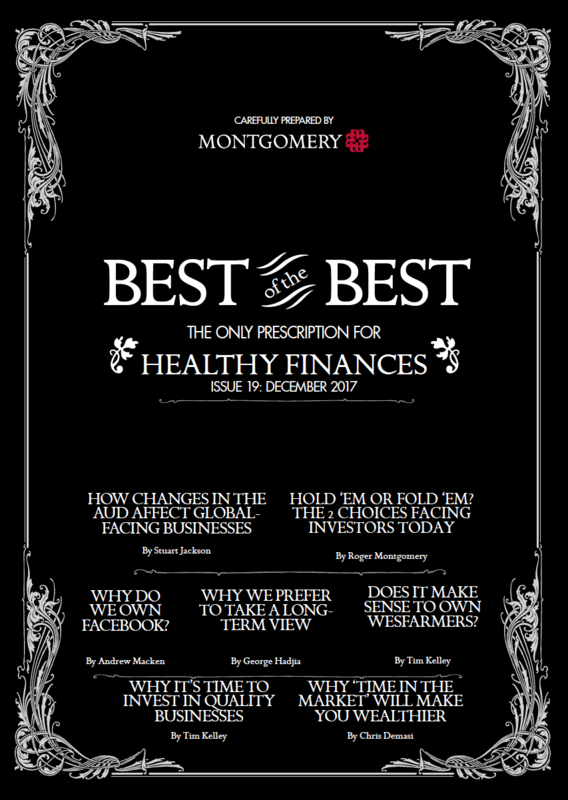 The articles are written by the investment team at Montgomery Investment Management, rather than a marketing spin doctor and are very informative. To read the report simply click on the picture of the report below. 3. Should you own Wesfarmers? Well known investor Gerard Minack, who also sits on the board of Morphic Asset Management recently produced this video on this thoughts for investment markets for 2018. This video was produced for the Morphic Asset Management roadshow and has been reproduced with their permission.